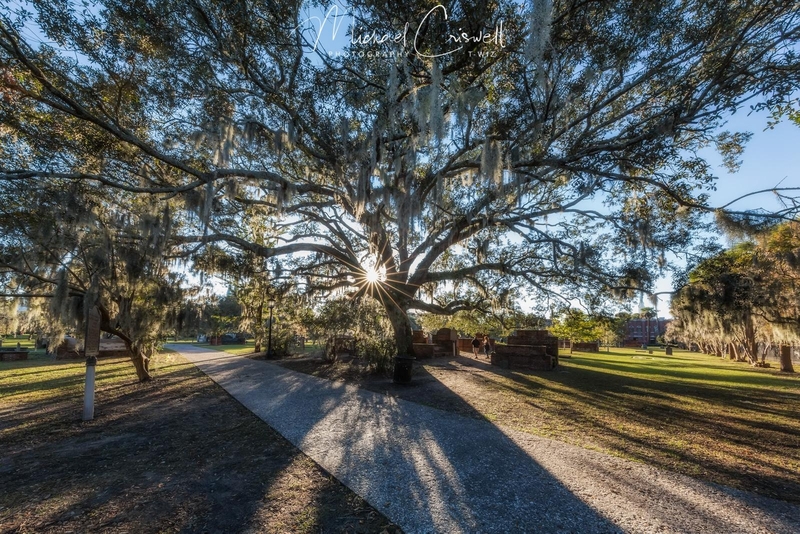 Georgia Archives ⋆ Michael Criswell Photography "Theaterwiz"
Another Icon of the Savannah historic district is the Colonial Park Cemetery. 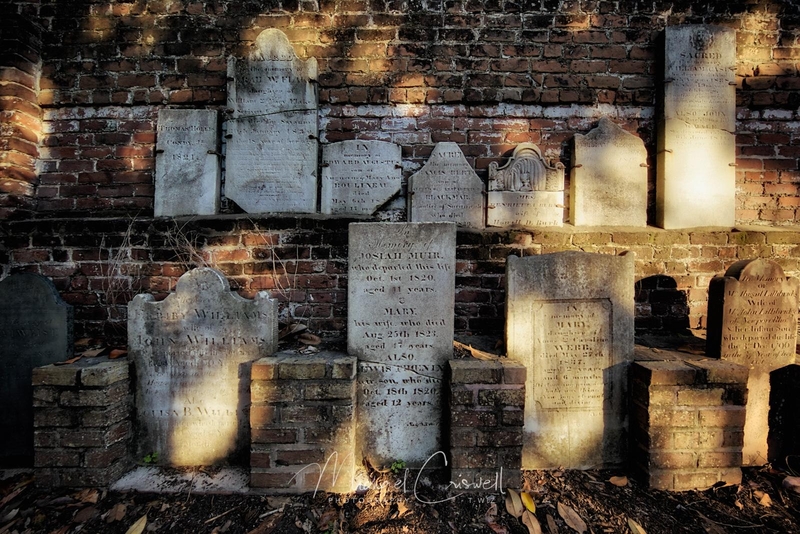 The park-like cemetery was established in 1750 and has been closed to interments since 1853 and is the oldest intact municipal cemetery in Savannah. The cemetery is now a park-like setting with many of the original headstones and vaults still standing. 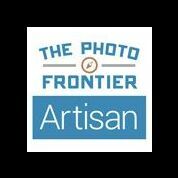 This is a favorite stop for ghost tours as this is reported to be one of the most haunted places in Savannah. More than 700 victims of the 1820 Yellow Fever epidemic are buried in Colonial Park Cemetery. There are also many victims of Savannah’s tragic dueling era. Savannah history records the first dueling death in 1740 and the final shot fired in 1877. There are rumors of several mass graves in Colonial Park and the surrounding playground from the Yellow Fever epidemic. The Cemetery became a city park in 1896. During the Civil War, when Union General Sherman invaded Savannah during his March to the Sea, he stopped in Savannah for some time. He sparred the vast majority of the city because of its beauty, however, not all of his soldiers shared his vision in not vandalizing the city. While staying in the city, many of Sherman’s soldiers camped within Colonial Park Cemetery. While there, they defaced a number of gravestones. Now, there are headstones of people who lived to be well over a thousand years old along with other types of defacing. 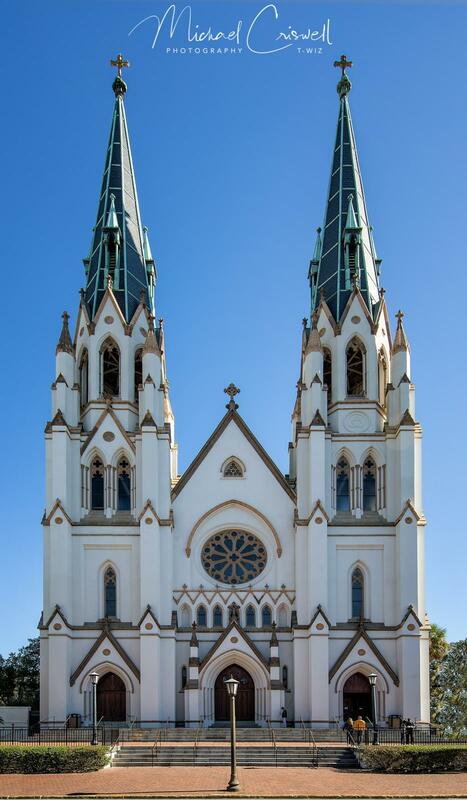 One of the Savannah Icons located on Lafayette Square in the historic district, the Cathedral of St. John the Baptist. 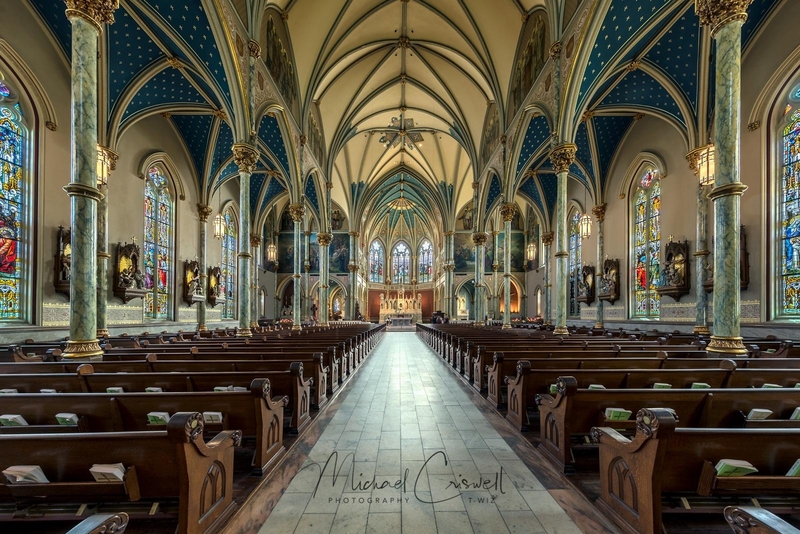 I have shot this church many times on our trips to the South and never get tired of it. It really is beautiful inside and really hard to get a shot without a bunch of people in the frame as this is a tourist bus and trolley stop every day.  I thought I might give it another try with my 11mm lens, even with the super wide lens this place is enormous. It was always challenging to get a good shot of the outside of this Cathedral due to its location and height but the new lens fixed this issue with very little distortion to correct when it was all said and done.